4. 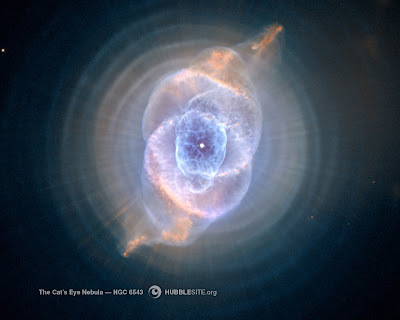 The Cat's Eye Nebula, one of the first planetary nebulae discovered, also has one of the most complex forms known to this kind of nebula. Eleven rings, or shells, of gas make up the Cat's Eye. 3. 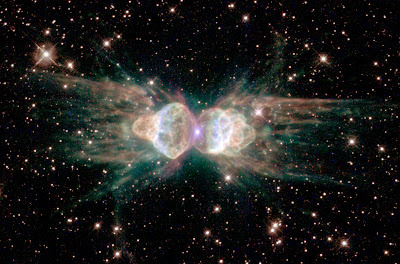 The Ant nebula is a cloud of gas and dust in the Milky Way Galaxy, 3000 - 6000 light years from Earth. 2. 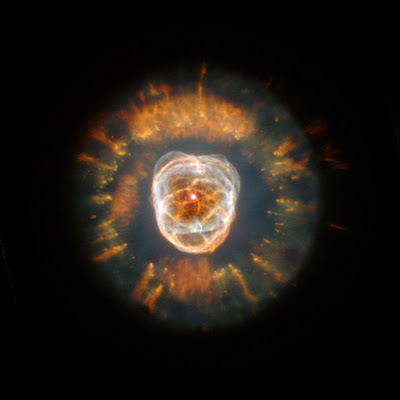 The "hood" around Eskimo nebula is a ring of comet-shaped objects flying away from a dying star. 1. 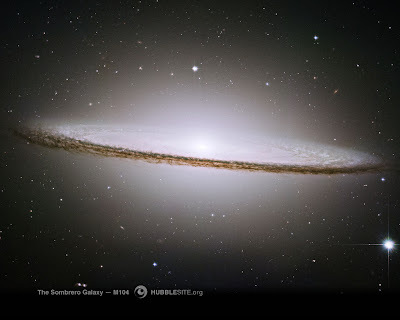 Sombrero Galaxy: A brilliant white core is encircled by thick dust lanes in this spiral galaxy, seen edge-on. The galaxy is 50,000 light-years across, 800 billion suns and 28 million light years from Earth.